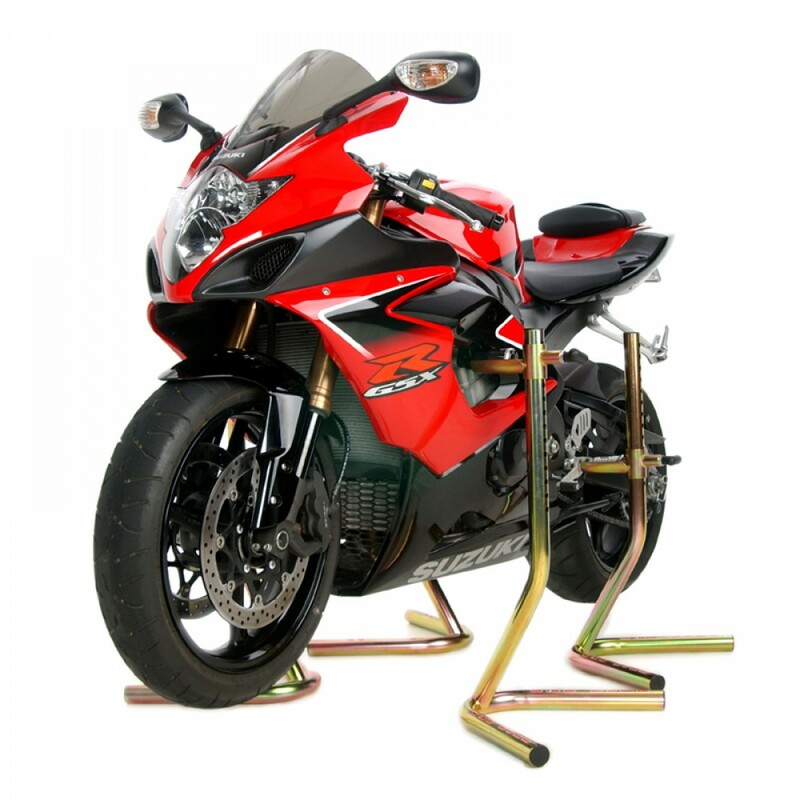 Our Pit Bull Jack Stands will allow your sport motorcycle to rest on the frame sliders and/or the rear footpegs. Height is adjustable to 14 different settings. Copyright © 2019 Pit Bull Products, Inc.